As the climate warms and the human population spreads out, it makes sense that eventually we'll want a city in Antarctica. That's why Argentinian architect Amancio Williams designed this futuristic city for the frozen continent. 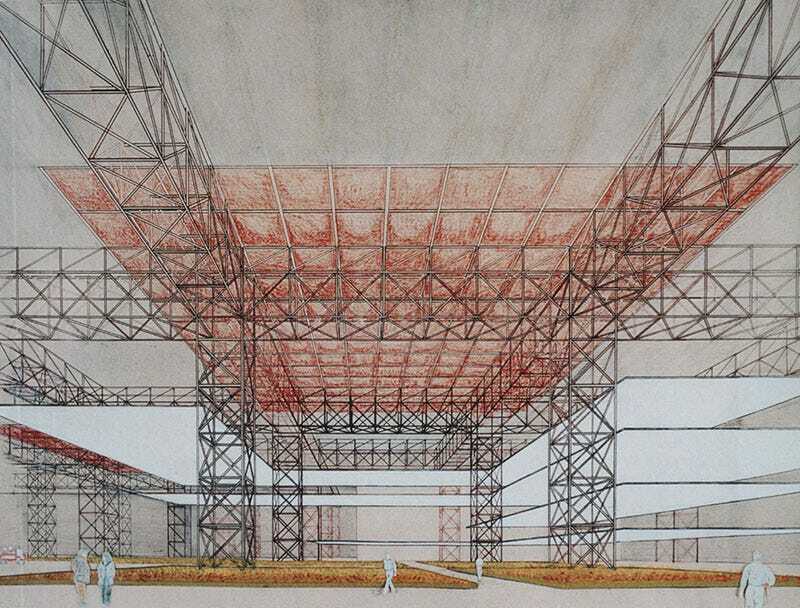 According to Fosco Lucarelli at architecture blog Socks, the Argentinian government asked the future-minded Williams to consult on this design in the 1980s. It would be built on the Antarctic Peninsula (you can see why in the map below, which shows the peninsula jutting upward toward the tip of Argentina). The city would be half for residents and half for tourists, with a large resort hotel at its center. Helicopters would lift people to and from the mainland. Indeed, the entire city would be constructed out of light, pre-fab, interlocking parts on the mainland and shipped over to Antarctica. Its shape was designed to be wind and weather resistant, and its foundation would be poured concrete on top of permafrost. The concrete would be heated to the temperature at which it remained dry. Buffer zones of temperature (separated by a system of sliding doors) allowed for the communication between interior and exterior, so that helicopters, small vehicules, cargo and passengers could enter or get out the city. The city center would be dominated by green spaces, and presumably small farms to supplement food supplies shipped over from the mainland.